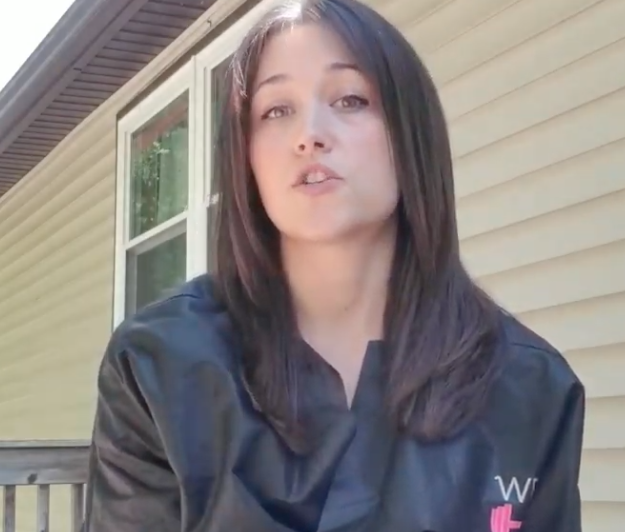 If you have used Wear & Away Products, please use the form below to give us your review! By submitting the form, you give us permission to post it on our website. Thank you! Company Website or Social Networking Page (Facebook, Instagram etc) Do you have a website or social page. If so post its address here? The material is thin and comfortable and I personally wear them when I compete. It protects your spray tan, and is a great investment! 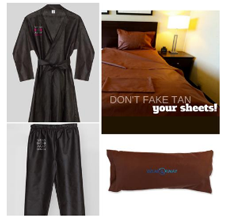 Amazing sheet protectors from Wear and Away keep your tan on you! Really simple to use, comfortable, with a pillowcase and carry bag, and they keep your tan on you and off of your bedding! I love the products and love wearing them after my tan! I could not be happier with these pants from Wear & Away Competition! Not only did they not absorb any of the color, I didn’t have to worry about ruining any of my sweatpants! These pants and the Sheet Protector Set will be in my arsenal for many comps to come! FREE SHIPPING! Includes Robes or Shirt, Pants and Sheet Protector Set.